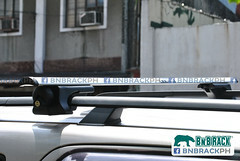 BNB Through Bar Pro gutterless crossbar can be installed on most sedans available in the market. 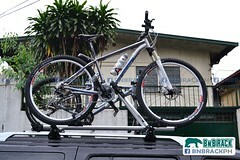 Built from aerodynamic aluminum tube to eliminate wind noise. 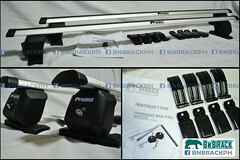 Package includes 2 sets of clamps for different applications and all the tools needed for installation. 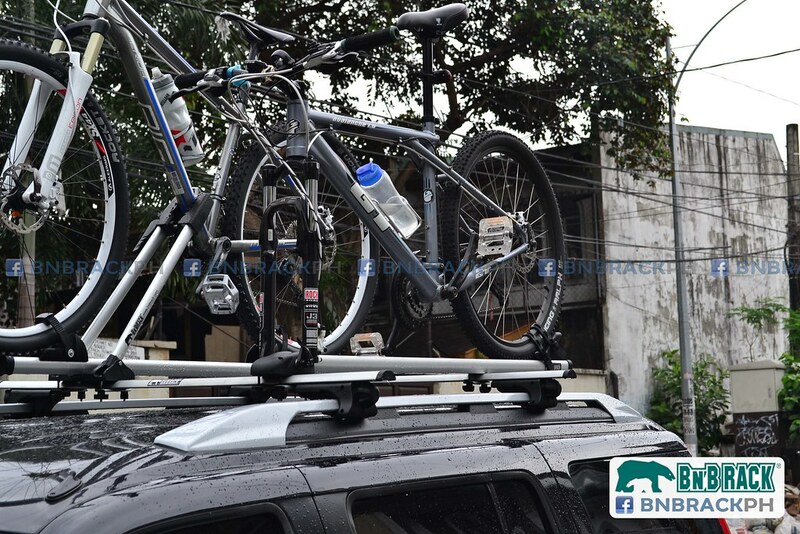 Maximum can load capacity is up to 75 kgs / 165 lbs. 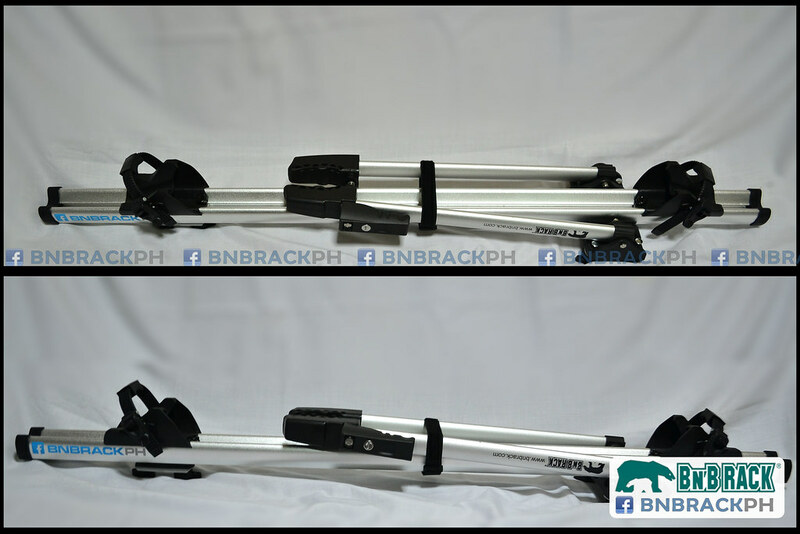 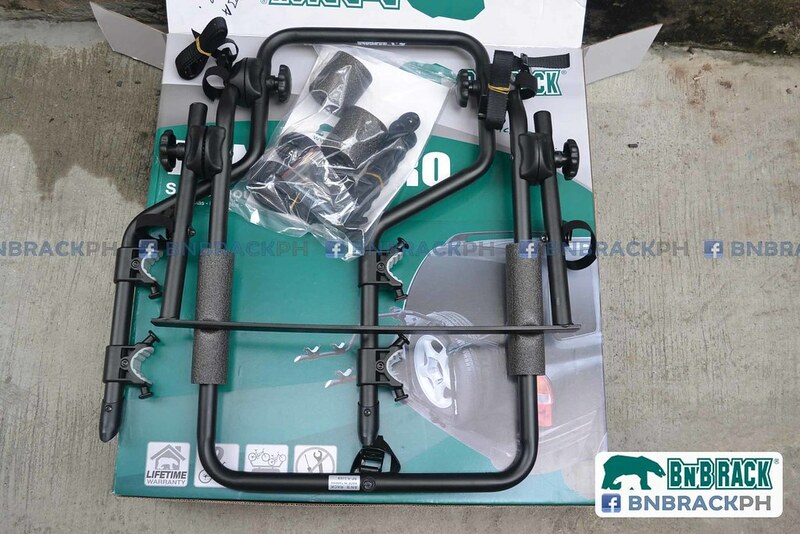 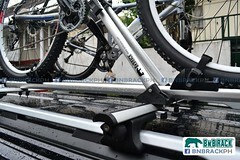 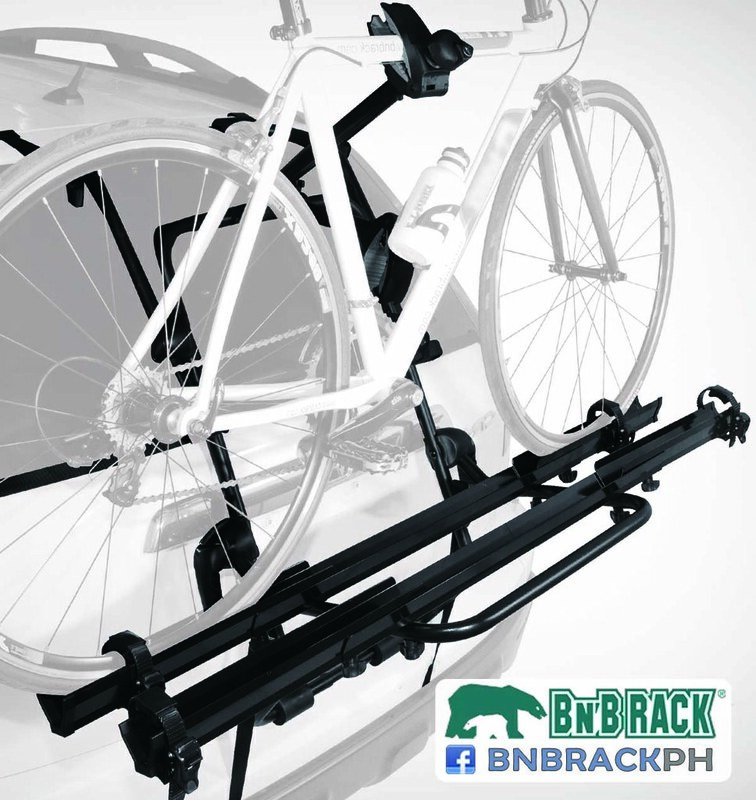 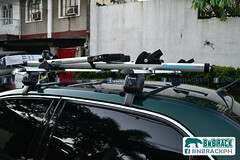 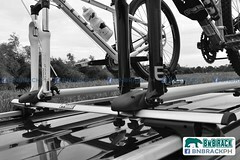 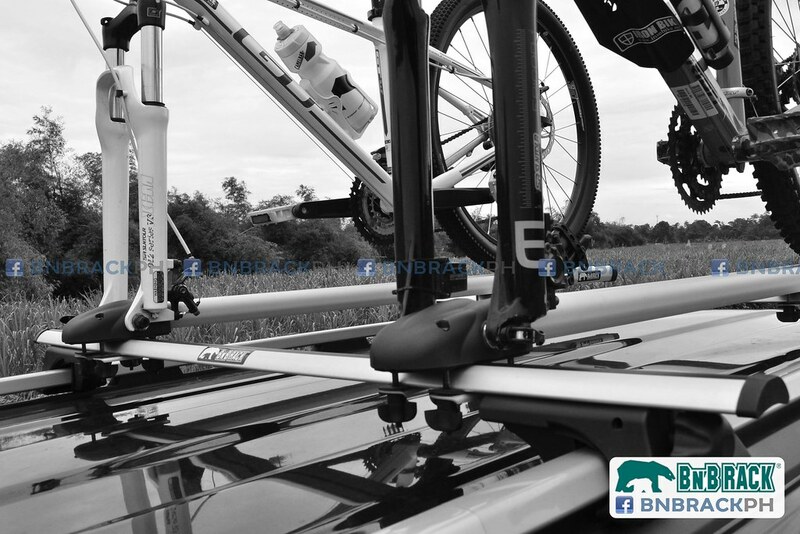 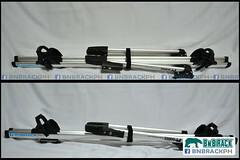 BNB Vanguard fork mount bike rack, can be installed on cross bars with up to 70mm in width. 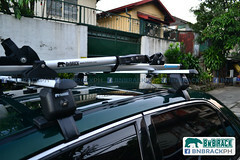 Made from high strength aluminum alloy with an anodized sandy silver finish. Bike fork is secured with integrated 9mm skewer while the rear tires are locked by plastic rachet type straps. Simple intallation no tools needed. 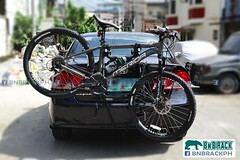 Maximum load is 15kgs. 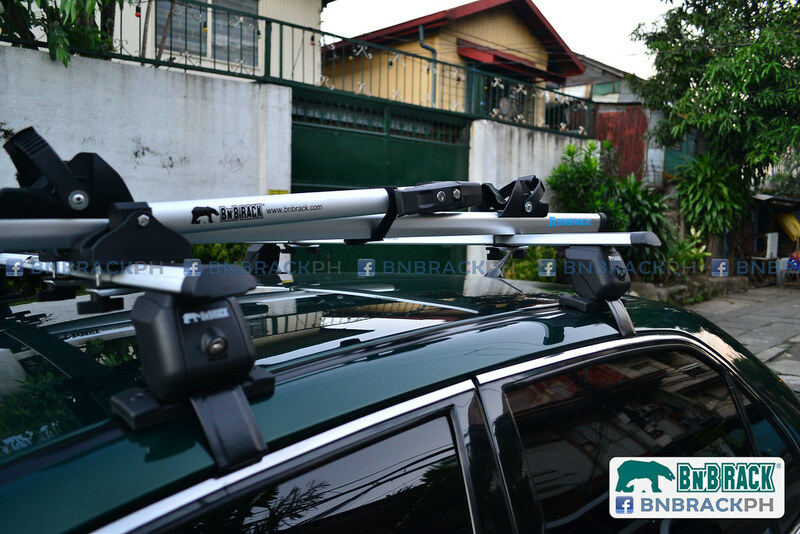 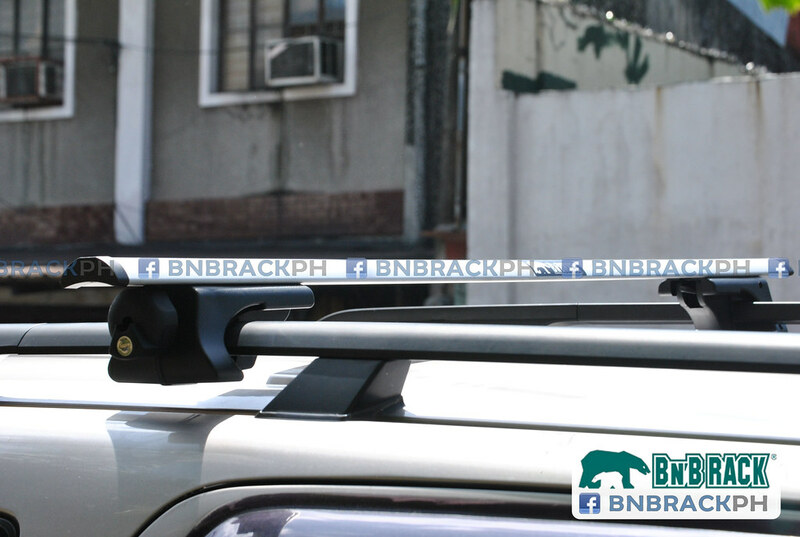 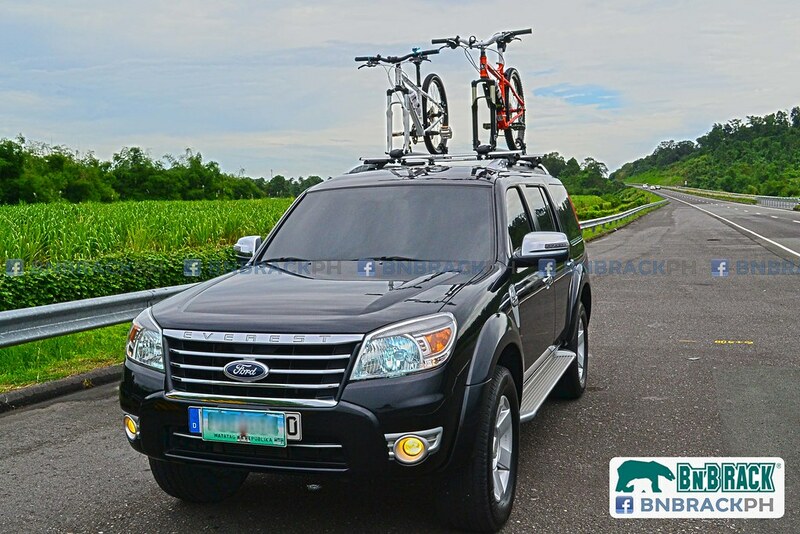 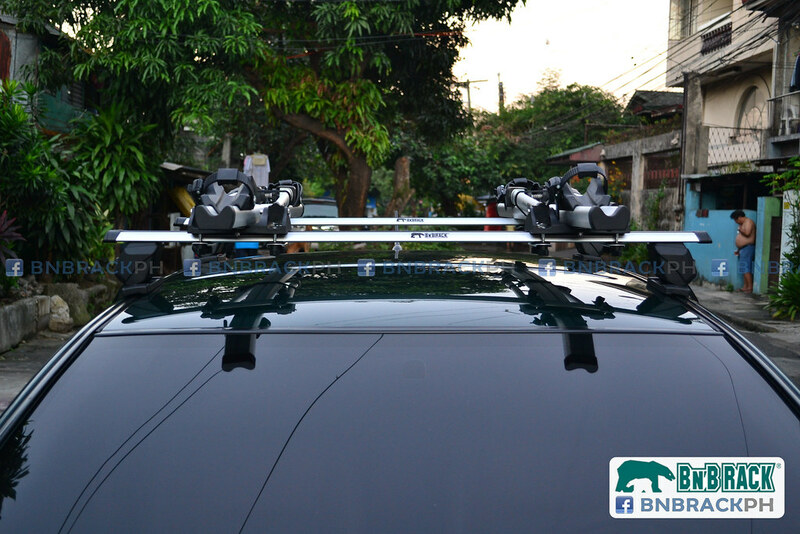 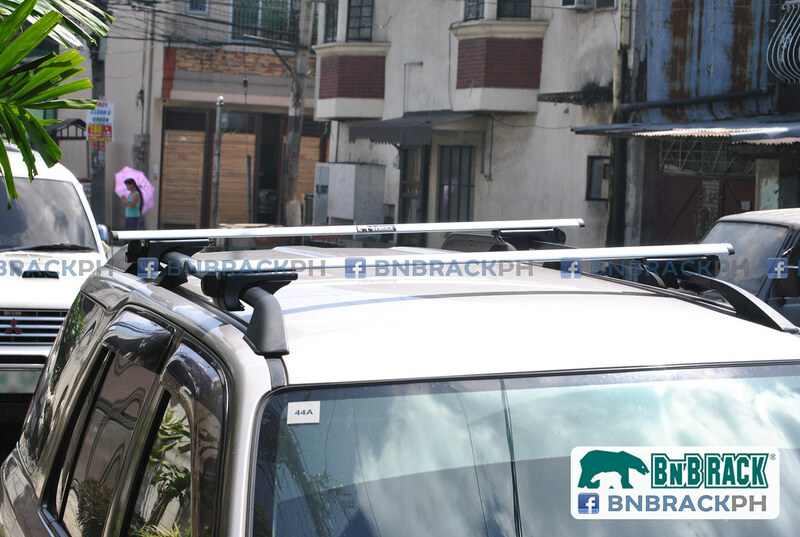 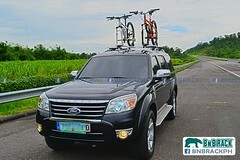 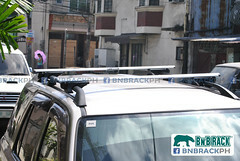 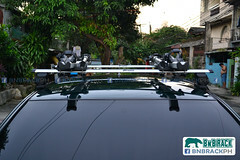 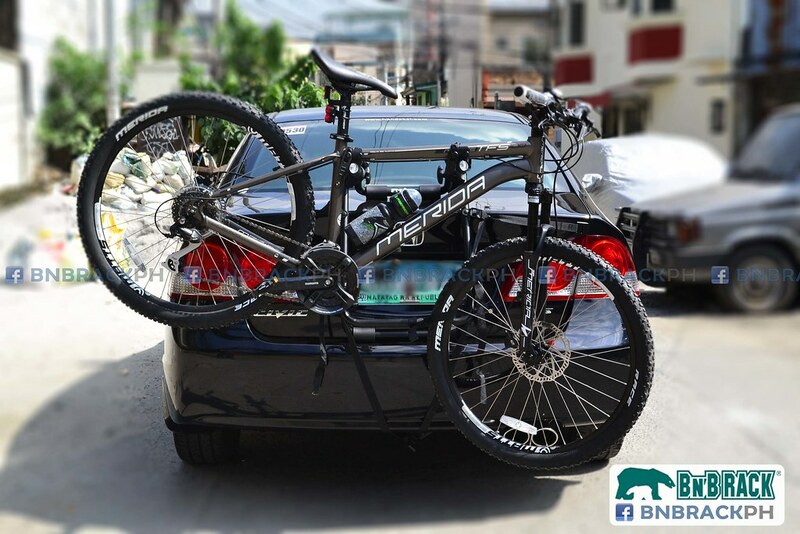 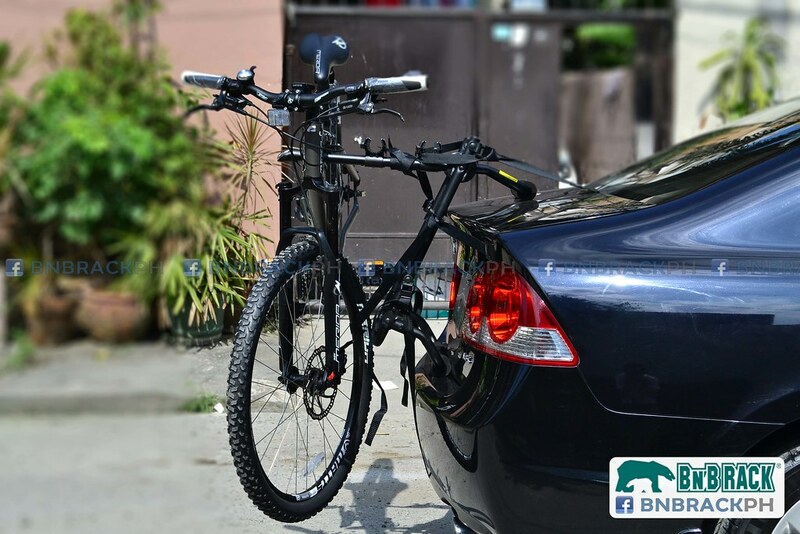 The BNB Genesis can be mounted on sedans, SUV and hatcbacks. 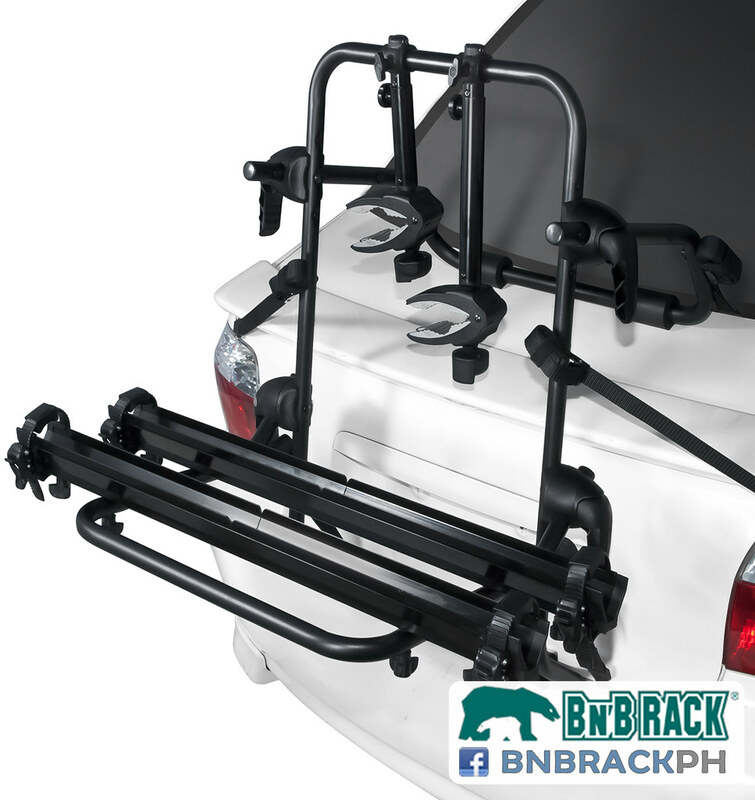 Made from high strength steel and reinforced plastic. 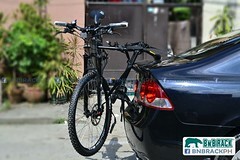 Its color is black powder coated. 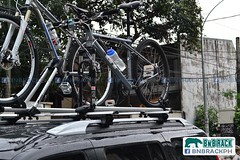 Maximum load for this rack is 45kgs.